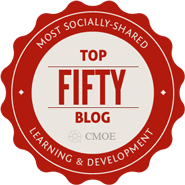 For years instructional designers and eLearning developers have had a love/hate relationship with the ADDIE model of instructional design, as they try to keep up with business demands for speed and quality, and observe process innovations such as rapid application development and iterative prototyping. For many years the five ADDIE phases were the foundation for the design of most systems. Software engineering, product development, interactive/multimedia development are all based on some variation of ADDIE. Most of these systems have evolved from the linear “waterfall” approach of early models; that is, a phase has to be completed and approved before you can start the next phase. The waterfall approach has generally been replaced by iterative design cycles based on rapid prototyping, customer participation in the process, and loads of feedback loops built into the process. Instructional design and eLearning has gone through the same process. It has evolved and continues to evolve to meet the needs of the marketplace. Much of the current hostile reaction to ADDIE is based on the old waterfall-linear approach and the assumed “instructivist” nature of the model. 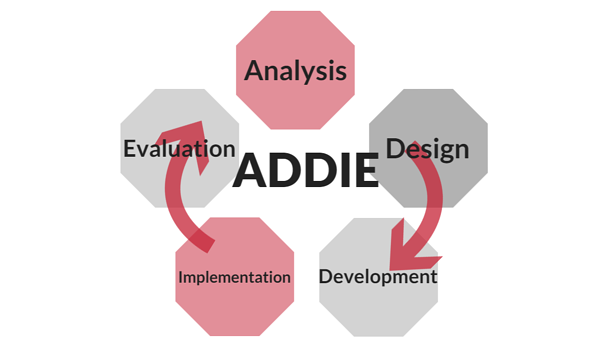 ADDIE’s perspective provides a structured step-by step instructional design process. It is characterized by a progression through Analysis, Design, Development, Implementation, and Evaluation. Quality information: The instructional designer can work on complete information from the Analysis phase, relying on the fact that the instructional context is stable and that there are no unforeseen events. 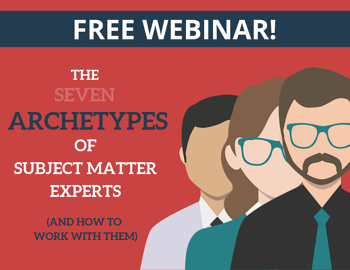 Expertise: The instructional designer can master the process without errors, and all the team members (including subject matter experts) and stakeholders can give their contributions as required, at the right moment, and in a clear and unambiguous manner. As we know, these are merely assumptions that are rarely, if ever, in place for an actual learning project. 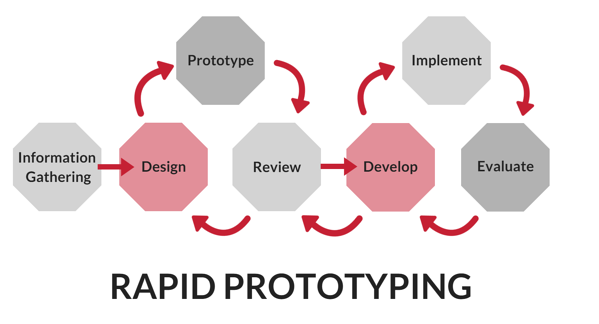 Rapid Prototyping is currently the most popular alternate approach to ADDIE and traditional instructional design. With Rapid Prototyping, the steps are crunched together to reduce the amount of time needed to develop training or a product (Jones & Richey, 2000). The design and development phases are done simultaneously and evaluation is done throughout the process. Using working models early in a project to eliminate time-consuming revisions later on. Completing design tasks at the same time, rather than sequentially, throughout the project. With Rapid Prototyping, learners and/or subject matter experts interact with prototypes and instructional designers in a continuous review and revision process. The development of a prototype is the first step and analysis is continuous throughout the process. As one cycle proves effective and usable, the next cycle begins, based upon the best-practices of the previous cycle, and so on. It allows the stakeholders, subject matter experts, and end users to provide early feedback. The rapid prototype creates an early iteration loop that provides valuable feedback on technical issues, creative treatment, and effectiveness of instruction. The design document itself is changed to reflect this feedback, and in some cases, a new prototype module is developed for subsequent testing of the refinements. Gram himself doesn’t use ADDIE in its purist form any more. For e-learning and performance applications, he prefers processes with iterative design and development cycles that are usually a variation of Rapid Prototyping such as the Dynamic Systems Development Method (DSDM) or, specifically for eLearning, either an iterative approach or Michael Allen’s Rapid Development approach. He thinks of ADDIE not as an instructional design methodology but rather as a framework for coaching instructional designers and a project management process for managing learning and e-learning projects. 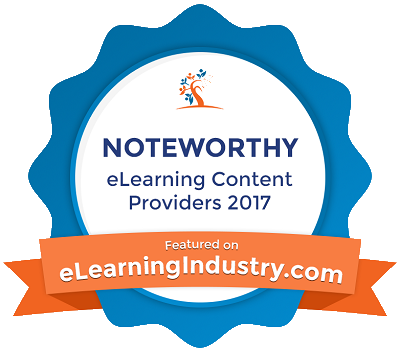 According to Gram, many e-learning designers these days are not formally trained in Instructional Design. Neither customers nor subject matter experts understand its systemic nature. Instructional Design is thought of as instructional “writing” more than the holistic approach at the heart of ADDIE. Instructional designers, customers, and subject matter experts are much easier to work with once they understand the broad project process that ADDIE represents. Gram says that the ADDIE phases are the major processes that need to be managed and measured by most learning functions. He sees the integration of ADDIE with Rapid Prototyping as a starting point to design a customized process that can be communicated, executed, measured and repeated with some level of consistency. This integration demonstrates Instructional Designers’ continually improving processes, breaking through to better ways of working. Botturi, Luca; Cantoni, Lorenzo; Lepori, Benedetto; & Tardini, Stefano. (2007). 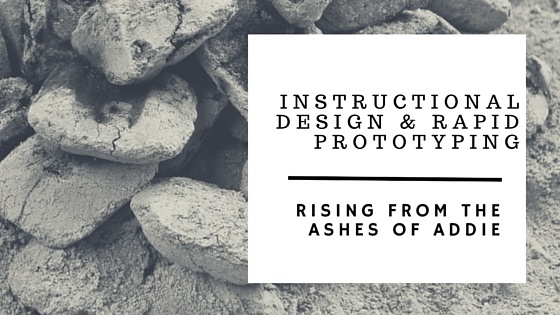 Fast Prototyping as a Communication Catalyst for E-Learning Design. In Bullen, Mark & Janes, Diane (eds. ), Making the Transition to E-Learning: Strategies and Issues. Hershey, PA:Idea Group, pp. 266-283. Jones, Toni Stokes, & Richey, Rita C. Rapid prototyping methodology in action: (2000). A developmental study. Educational Technology Research and Development, 48, 2, pp. 63-80.
instructional design strategy. Educational Technology Research and Development, 38, 1, pp.31-44. © 2019 Dashe & Thomson, Inc.